Disclaimer: We received a free digital copy of the book from the author. All words are our own. Please also note that some links are Amazon affiliate links. "A Thousand Purring Cats warmly embraces the healing power of positive relationships. Playful text and images invite smiles and laughter with a surprise tug at your heart, while lively characters gently nudge your child closer when they need it most. A new feel-good classic your family will want to read and reread for years. 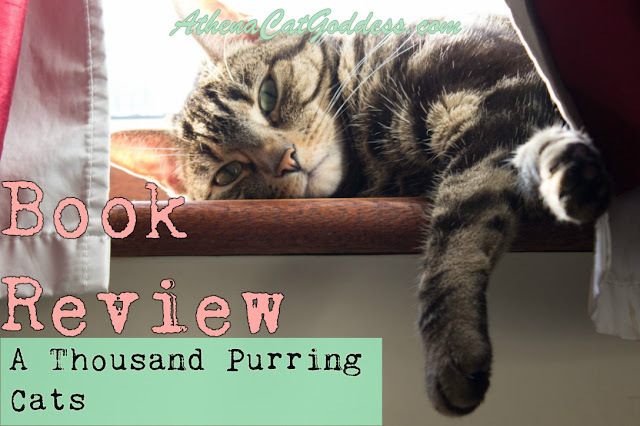 Whether you are a cat-lover or not, this book will give you a HUG!" Here's Mum to tell you! This beautiful little book is full of breathtaking illustrations that will shower any child with immense healing whenever it is needed, because, let's face it, life can be tough at any age. Not only are the illustrations, which were inspired by the author's own cats, mesmerizing, but the healing text messages accompanying them are incredibly soothing and will work wonders when needed. As we cat lovers already acknowledge, cats have amazing healing capabilities. They can help decrease blood pressure and to reduce anxiety, amongst other things. Indeed, Athena does all that for me and so much more. This lovely book is literally, a big "hug" for any child to turn to when they find life overwhelming, but it's a lovely book for adults too. It certainly cheered me up this morning! If you want to read a book that celebrates the amazing love and power of emotional bonds between pets and humans, then don't miss this book! And if you don't have a cat, the book "nudges" you to accept loving hugs from your favourite human too. This is definitely one of those books children and even adults will want to pick up time and time again. To find out more about the author-illustrator Susan Kedzie visit her website here. 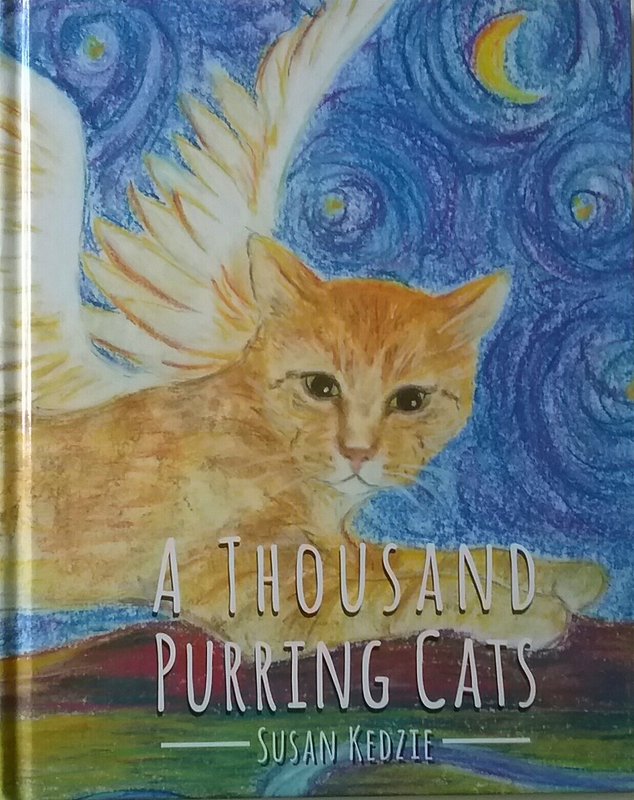 I have a great-nephew that has just undergone some surgery...this may make a purrfect gift! Thanks for the review. It does sound like a wonderful book! I love that you refer to this as a big hug for a child! It sounds like a great book. Sounds like a pawsome book! This book sounds amazing! Definitely going on my wish list. I hadn't heard of this book before ... what a gem!